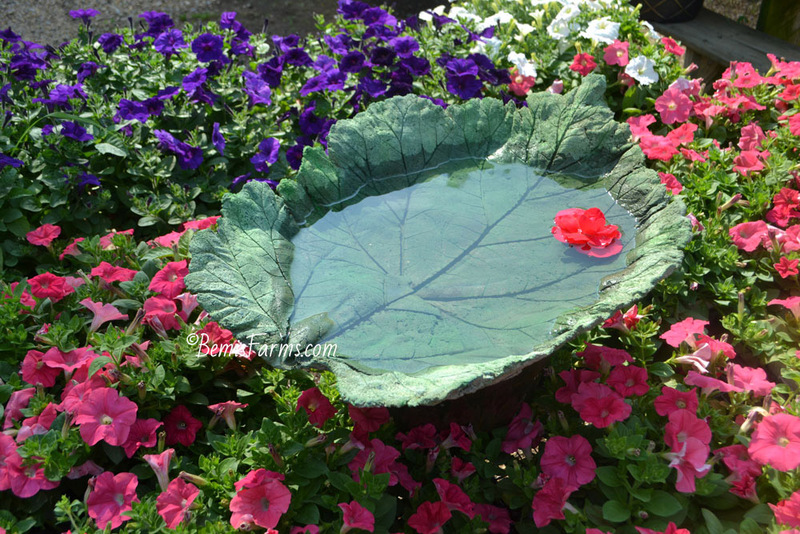 Choose from an assortment of giant leaves to mold your birdbath from a special concrete mix. Allow it to harden here for two days, then return at your convenience to paint it, if you choose, and apply a water sealant. This has been an extremely popular class for the last 10 years or so. Don't miss out! You will have a garden ornament to last a lifetime.